This is my lunism web comic blog. Visit my other blog for stuff that I love too. 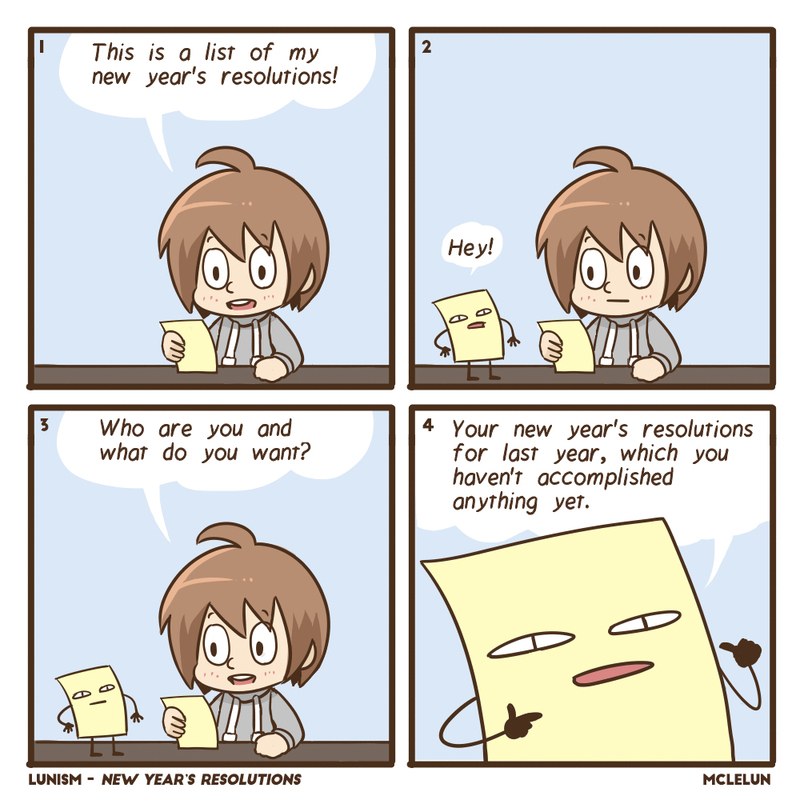 Every year I will set a list of new year's resolutions. Some will be accomplished and a few items on the list will always fail. Sad reality in this social media age. 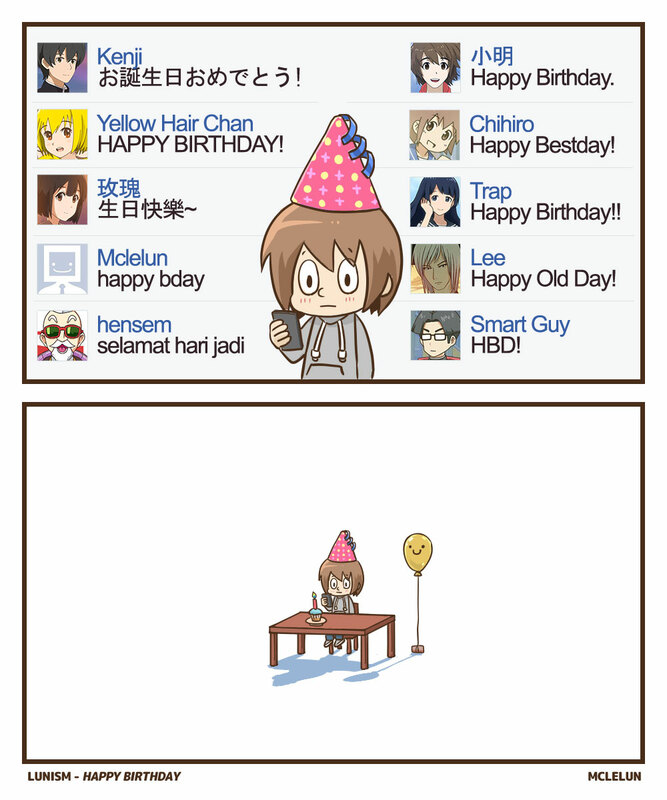 We got more happy birthday messages online from not so close peoples, comparing with your friends or families.